Mold can grow behind the walls in basements and cause significant damage. 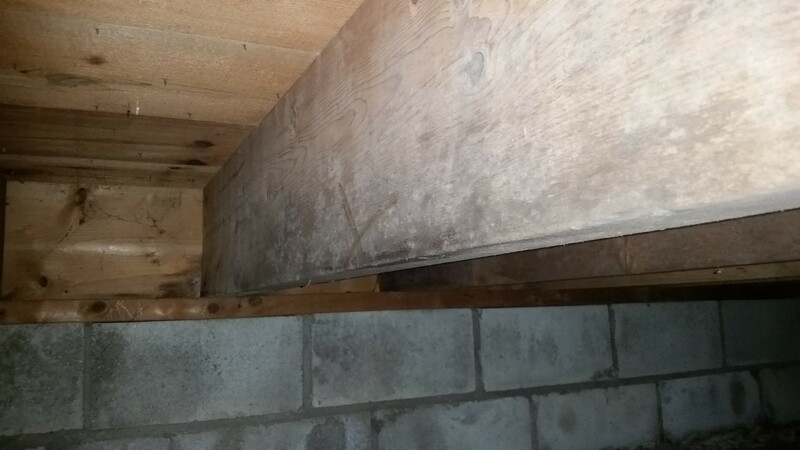 Below grade spaces like basements and crawl spaces are among the most common areas for mold growth in the home. Musty odors are typically the first sign of a moisture or mold problem in the basement or crawl space, and it's important to address this issue as soon as it's discovered. 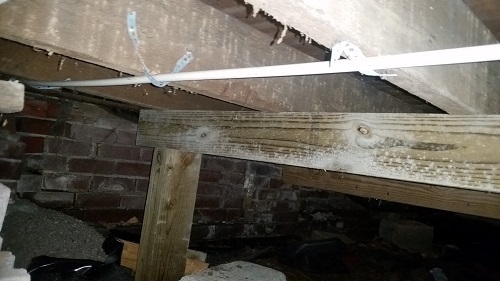 While mold can happen in any basement or crawl space, issues such as foundation leaks, flooding, and plumbing leaks all put you at greater risk of a mold problem. If there is a musty smell or visible signs of mold in your basement or crawl space, especially after water damage, call Healthy Spaces at 1-833-782-0040 or click below to request a thorough mold inspection and get a free estimate on mold remediation in Evansville, Owensboro, Newburgh and the surrounding areas. Even minor mold growth in the basement or crawl space can lead to musty odors and cause respiratory problems for people in the home. If mold growth becomes severe enough, it can cause structural damage in a basement or crawl space. Any time there are damp, humid conditions in your basement or crawl space, there is potential for mold growth. Basements and crawl spaces include a wide variety of building materials like wood, sheetrock, and insulation that serve as food sources for mold. Mold growth in the basement can lead to respiratory issues and inflame allergy and asthma problems, can cause structural damage to your home, and can reduce your home's value. At Healthy Spaces, we will provide you with a thorough and professional mold remediation. Our trained and certified technicians will identify all affected areas as well as the source of the mold problem, allowing us to completely eliminate the issue. Our remediation process includes removing all mold-damaged materials, drying out the basement or crawl space, and thoroughly cleaning all surfaces. We use safe, effective cleaning products, and all of our technicians are trained and certified in professional mold remediation techniques that won't spread the mold in your home. You can rely on us correctly diagnose, remove, and remediate all of your mold issues. If you're having issues with mold growth in your basement or crawl space, the mold removal experts at Healthy Spaces can help. We provide complete mold remediation services throughout the home, and we'll ensure that your home is safe, clean, and healthy. Call us today at 1-833-782-0040 or contact us online to get started on mold removal services for your basement or crawl space. We offer free estimates on all our work in Evansville, Owensboro, Newburgh, Henderson, Vincennes, Madisonville, Jasper, Haubstadt, Washington, Sheperdsville and the surrounding areas.